"All-natural ingredients will make you feel and look beautiful from head to toe." I have been making my own beauty and treatment products more and more in the last few years. I do love some tried and true items that I can not give up but for the most part I really like to make my own. This book is a great resource for both beginners and those already making some of their own products already. She starts with nutrition and eating proper foods and then on to detoxing and fasting. With the recipes she includes tips to help you make the recipe as well as the full ingredients list. 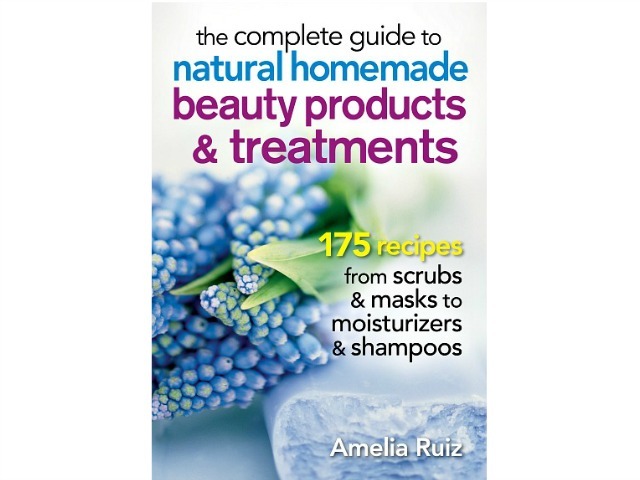 This book is truly the complete guide to making your own beauty products and treatments! You’ll discover how to simply prepare all kinds of cosmetics, and you’ll be amazed by how economical it is to create your own products. Only you really know what your skin needs, and these recipes allow you to truly customize products, resulting in the ultimate pampering for your skin.